Hey South Florida! Get ready for some genre goodness from the Popcorn Frights Film Festival. Set to unfold from August 10 to 16 -- as residents surely know, a perfect time of the year to spend all day in cool movie theaters -- the festival will open with the world premiere of Havana Darkness, which claims to be the first English-language horror film to be short in Cuba. On the same evening, the highly-acclaimed Anna and the Apocalypse will make its South Florida premiere, and so will Puppet Master: The Littlest Reich -- but only for those who enjoy gruesome fun. Filmmaker Chuck Russell will be celebrated, with screenings of his version of The Blob (better than the original) and A Nightmare on Elm Street 3: Dream Warriors (not better than the original, but a very worthy sequel). Other noteworthy titles include Joko Anward's Satan's Slaves, Darren Lynn Bousman's St. Agatha, and Andre Gower's Wolfman's Got Nards, a documentary about The Monster Squad (which means automatically that it must be good). All films will screen at Savor Cinema (503 SE 6th St, Fort Lauderdale, FL 33301). Festival Premiere Badges are on sale for a limited time for $99 per person and $169 for couples. Single screening tickets will be available June 27. 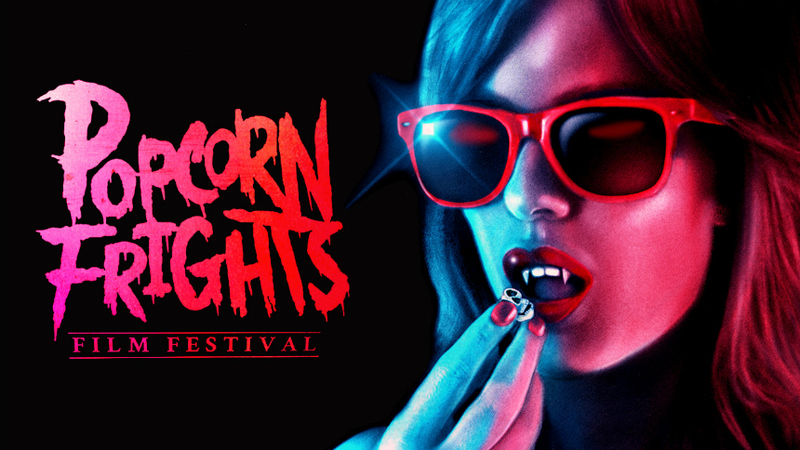 To purchase badges and view the Festival schedule visit www.popcornfrights.com. To read all the festival's official verbiage, scroll onward! Popcorn Frights Film Festival is proud to announce their first wave of programming for the fourth annual celebration of genre-twisting cinema, occurring August 10 through 16, 2018. The Southeast United States largest gathering of genre films and fans will be hosted at the historic Savor Cinema in Fort Lauderdale, a state-of-the-art theater that in the 1940's was a Methodist Church. "The Sunshine State is about to get a whole lot more badass and bloody as we unleash the most twisted, bold, breathtaking, hilarious, and downright wildest films in the world. It's a collection of the weird and awe-inspiring from the most thrilling visionary artists and nightmare-makers on this planet. This summer will see a fury of cinematic terror unlike Florida has ever seen!" said Igor Shteyrenberg & Marc Ferman, Co-Founders & Co-Directors of the Popcorn Frights Film Festival. Popcorn Frights first wave of programming represents the latest and greatest in genre cinema from around the globe. Opening Night features a triple-bill of mayhem kicking-off with the World Premiere of Havana Darkness, touted as the first English language horror film to be shot in Cuba; the East Coast Premiere of the zombie musical Anna and the Apocalypse, which will also feature a live immersive musical performance by Infinite Abyss Productions; and the Florida Premiere of the gruesomely fun Puppet Master: The Littlest Reich. This year Popcorn Frights will also celebrate director Chuck Russell, who will host a night of 80's terror with a special 30th Anniversary screening of his ooze-drenched remake The Blob as well as much-loved sequel A Nightmare on Elm Street 3: Dream Warriors. Other buzzworthy titles in the first wave lineup announcement include the Southeast US Premieres of the stunningly macabre The Dark and the sci-fi thriller Prospect; the East Coast Premieres of Blumhouse's Boogeyman Pop, Darren Lynn Bousman's new nightmare St. Agatha, and the audience award-winning documentary Wolfman's Got Nards; and the Florida Premieres of Colin Minihan's brutal tale What Keeps You Alive and the chilling creepfest Satan's Slaves. SOUTHEAST US PREMIERE. A teenage girl and her father travel to a remote alien moon, aiming to strike it rich. They've secured a contract to harvest a large deposit of the elusive gems hidden in the depths of the moon's toxic forest. But there are others roving the wilderness and the job quickly devolves into a fight to survive. EAST COAST PREMIERE. A heartfelt documentary exploring the power of one of the strangest, scariest, and most iconic kids films to ever grace the silver screen -- The Monster Squad -- and its 30-year impact on its rabid fan base, the cast and crew, and the future of horror comedies. It's been many years since Freddy Krueger's (Robert Englund) first victim, Nancy (Heather Langenkamp), came face-to-face with Freddy and his sadistic, evil ways. Now, Nancy's all grown up; she's put her frightening nightmares behind her and is helping teens cope with their dreams. Too bad Freddy's decided to herald his return by invading the kids' dreams and scaring them into committing suicide. Patricia Arquette and Laurence Fishburne co-star. 30TH ANNIVERSARY PRESENTATION. Bigger. Better. Blobbier! In this remake of the 1958 horror classic, a gelatinous mass invades Earth and starts devouring people in the rural California town of Arborville. As it feasts, the blob grows bigger and bigger -- and threatens to spin out of control. Starring Kevin Dillon and Shawnee Smith.